A PayPal business account was setup on Garrison Rifle and Revolver and integrated with our website store for renewing annual memberships. 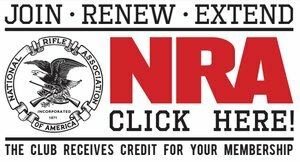 If you renew online, your club membership card will be mailed to you. You should also be able to see HTTPS in the URL address bar, which notes that our web site is encrypted. We purchased a Domain name site SSL certificate for garrisonrr.org. This was done so that our club members could log in to the site securely with user names and passwords to see their account details and also be able to be confident that their credit card information was encrypted for the interface between our Club website and PayPal.